A myriad of unexpected teams have made it all the way to the last four of this year’s League of Legends World Championship. The opening semi-final on Saturday sees G2 Esports of the EU LCS facing off against the LPL’s Invictus Gaming. G2 Esports have committed all of their time and resources into perfecting their 1-3-1 strategy, utilising the strength and co-ordination of their solo-laners, Perkz and Wunder. With incredible flexibility in terms of champion pools, G2 Esports have focused on a single strategy, performing well despite having every team know their ideal set-up. Despite the brilliance of the aforementioned solo-laners, the play of Jungler Jankos is arguably most important to G2’s success. The team’s previous up-and-down tendencies co-incided with Jankos’ play but in this event his solid performance helped carry G2 to their incredible 3-2 upset win over RNG. Invictus Gaming also pulled off a major upset to get here, in their case a 3-2 victory over kt Rolster. However, despite their ultimate victory that score is somewhat misleading, as IG were a split second away from pulling off a 3-0 win, narrowly falling in the third game during a hectic base race. IG also showed surprising poise despite being on the verge of being reverse swept, with JackeyLove in particular stepping up in the all-or-nothing deciding game. The heart and soul of this squad is Mid-laner Rookie, one of the best players of the entire tournament. With the likelihood being that TheShy sees playing time in the Top lane due to his solid performance in the quarter-finals, IG are set up with two solo-laners who can match the likes of Wunder and Perkz. The question is whether or not Ning can find success against Jankos in the Jungle, with Ning having shown off an unexpected Kindred pick in the close-out match. The odds suggest he can with IG 1.349 favourites to progress, with G2 being 3.260 underdogs. In Sunday’s second semi-final, Cloud9 go up against Fnatic in a Western showdown that no-one saw coming at the outset of Worlds. Cloud9 absolutely dominated the Afreeca Freecs in the quarter-finals, pulling off a 3-0 victory and putting the world on notice to their abilities. Previously the weak link of C9, the Bottom lane of Sneaky and Zeyzal performed incredibly well on more laning-focused champions such as Lucian. However, the other members of the team were certainly not out-done, with Jungler Svenskeren continuing his incredible form throughout the tournament. Should Svenskeren struggle at any point, Cloud9 do have the option to go to rookie Jungler Blaber, especially if they are looking for more early action. However, the core of Cloud9 all year long has been rookie Top-laner Licorice, who has been one of the best players at the tournament. With a seemingly endless champion pool and ability to mitigate difficult situations, many eyes will be on whether or not Licorice can handle the one-two punch of sOAZ and Bwipo. Fnatic have been one of the most clean and convincing teams at Worlds thus far, with Jungler Broxah emerging as one of the breakout players of the event. Especially on Lee Sin, a champion who could become highly contested in this series, Broxah has looked brilliant with both his mechanical brilliance and co-ordination with his team. Caps in the Mid lane still has perhaps the largest champion pool at the tournament, with the team generally looking to invest in a priority champion for their star Mid-laner. Much like Cloud9, Fnatic have the option to play either sOAZ or Bwipo in the Top lane depending on their preference, with Bwipo seeing play in every game against EDG in their 3-1 quarter-final showing. The question for Fnatic is whether or not they will still be able to pull off their 3v1 attempts in the Mid lane, with both Broxah and Hylissang looking to get Caps ahead early and often. The odds say they will with Fnatic favourites at 1.465 to win the semi-final. Cloud9 are 2.740 outsiders. It’s been a stunning World Championship so far and based on what’s happened so far, you can expect the unexpected as these four teams battle for the title and more than $800,000 that comes with winning. Therefore, perhaps G2 Esports, the current outsiders at 8.550 are the value to claim the title. Cloud9 are 7.500 shots. 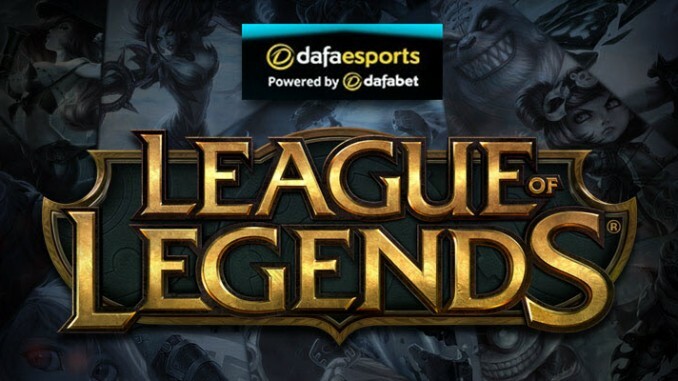 IG and Fnatic – the expected finalists according to the odds – are 1.961 and 2.840 respectively.